Guys, This Food & Adventure Destination Is Killing it! 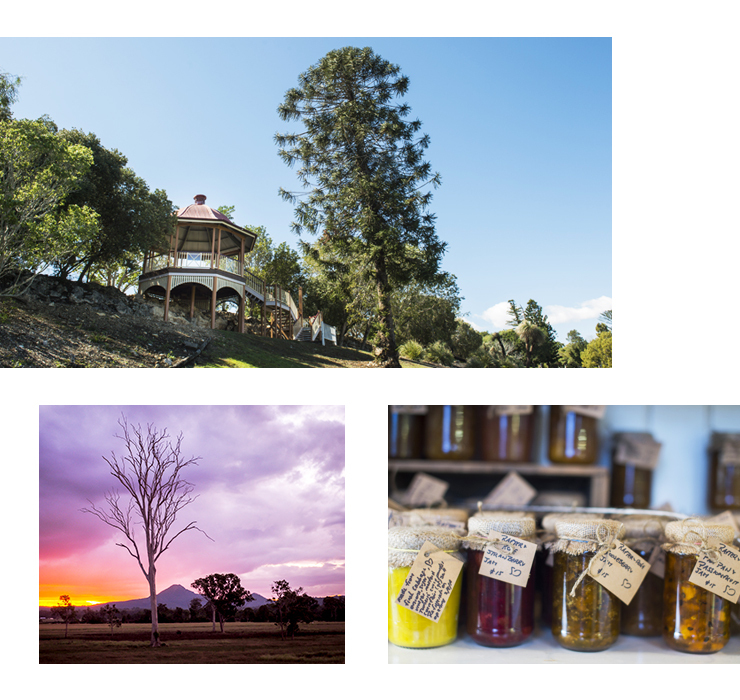 Picture this: a quaint, sleepy country town filled with adorable cafes, laneway bars, picturesque scenery, op shops filled with amazing vintage finds, and a slew of luxe resorts. Sounds heavenly, right? In fact, you’re probably champing at the bit to figure out where the heck we’re talking about it. Guess what you guys, this magical little place is none other than Ipswich. Yep—that mystical place at the end of the train line, less than an hour from Brisbane. Sounds cool, huh? To bring you the very best spots for coffee, shopping, and outdoor adventures, we’ve teamed up with in-the-know locals, Discover Ipswich. Because let’s be real, no one knows a place better than its locals. Note pads at the ready, let’s do this! Surely, we aren’t the only ones who suss out the food options before we venture out?! Here are our picks for the tastiest spots in Ipswich. Dovetails has recently opened in Ipswich’s iconic 88 Limestone precinct, in a former woodworking studio no less. The restaurant holds onto fun titbits from its former self, too, like names of the students still etched in the wood. Open for breakfast and dinner, Dovetails is the perfect spot no matter what time you find yourself in Ipswich. If you’re an early riser, make a date with salmon eggs benedict, or if you’re here for a PM-fix, opt for the kangaroo carpaccio (if you’re game), or the beetroot risotto if you think animals are friends not food. Fourthchild sits in Ipswich’s heritage ‘Top Of Town’ precinct and is a firm favourite with locals and visitors alike. With a pinch of Melbourne-attitude, a dash of all-day breakfast and a sprinkle of good vibes, Fourthchild is a must-visit. 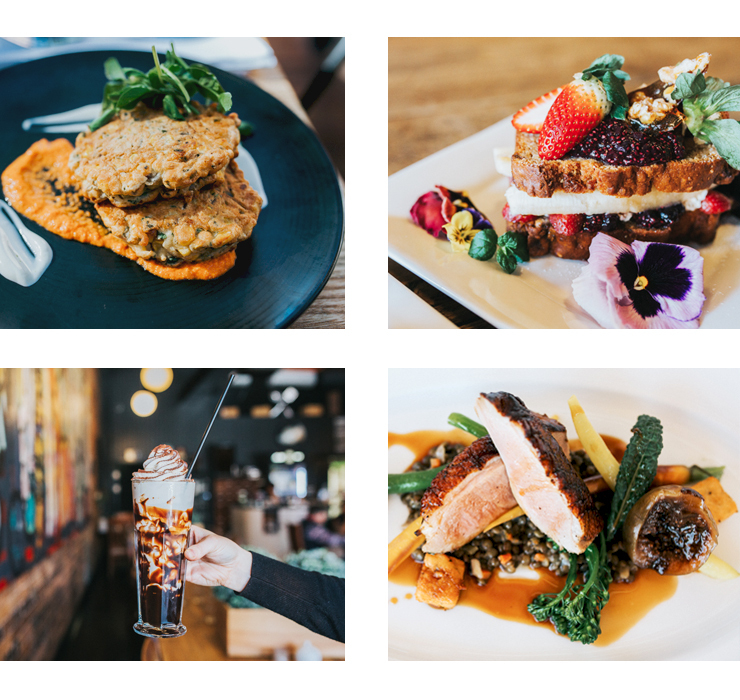 The food is all locally sourced from the near-by Lockyer Valley farms and is handmade (from scratch) in house—it really is a country affair here! Order the crème brulee French toast and thank us later. The Cottage is, not surprisingly, a cottage-turned-restaurant, built in 1860 and boasting historical charm in spades. On the menu expect rolled rabbit with wood mushrooms, smoke duck breast with faro, and even a lavender crème brulee. Looking for authentically delicious German fare? Head to Ipswich. Heisenberg Haus is a family run German restaurant in the heart of Ipswich’s CBD that pays homage to the city’s German roots. Expect schnapps, traditional German beers, cheesey Spaetzle (yas! ), pork knuckle and all your other German faves. PS—if you can finish the pork knuckle your photo gets its own spot on the wall. After all that delicious food, you’re probably going to want to do something to pass the time until your next meal. Here are our fave things to do in Ipswich. Who doesn’t love a market?! Answer: no one. Absolutely no one. The Workshops Rail Museum’s Twilight Markets are fun for the whole family. Think Queensland’s best food trucks, live music, craft workshops, an onsite bar, handmade food, and torch light tours of the museum. Fun! Truth be told, there’s no better way to see a new place than from the sky. Throw in a Floating Images hot air balloon flight and you’ve got yourself a winner. Get sky-high to explore the stunning Scenic Rim, Ipswich, and Somerset regions—all set against the backdrop of the Great Dividing Range. Flinders Peak is a pretty special spot, and worth dedicating a whole day to, if we’re being honest. There are varying circuits to suit your different needs, the Chalk Circuit is 5-10 minutes, while the Flinders Goolman Trail is a six hour 19k trek. Hardings Paddock makes the perfect starting point, and doubles as a campground, too! When we say foodie helicopter tours, you probably don’t immediately think of Ipswich—but Pterodactyl Helicopters are making it happen. Book in for a helicopter tour of local wineries or even an authentic Aussie pub crawl. Hey, only in Ipswich! With so much to do, you’re going to want to turn your trip to Ipswich into an overnight affair. Fear not, though, because we’ve found just the place. Walking into Spicers Hidden Vale is akin to walking into a dream. Picture a lush infinity pool set amongst a Scenic Rim backdrop, a hatted restaurant, gourmet picnic baskets and acres upon acres of beautiful bushland to be explored. It really is a dream. The Gypsy Cottage is the quintessential spot for a weekend getaway spent in the country. For one, your stay includes a gourmet breakfast hamper. There’s also a fire place for those cold winter nights. This is your chance to live out that McLeod’s Daughter fantasy of yours. Fancy a trip to Ipswich then? Thought so! Get all the info you’ll ever need right here. Editor's Note: This article is proudly sponsored by Discover Ipswich. To find out more about who and why we work with them, click here. Image credit: Hayley Williamson, Jason Starr.